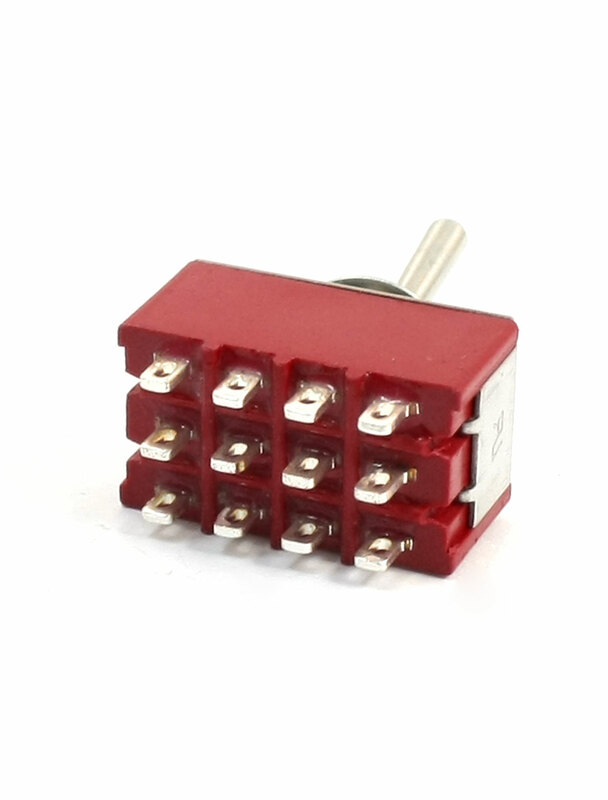 12 pin terminals, 4PDT (ON/OFF/ON) 3 Positions, easy installation. Can be used on low voltage or high voltage circuits, ideal for switching lights or motors. This switch is NOT momentary. There is a center position.